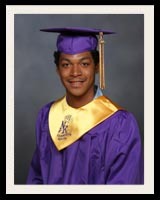 Individual Cap & Gown photographs are the perfect way for each student to remember how they looked on this important day. Portraits are available in color, or classic Black and White. 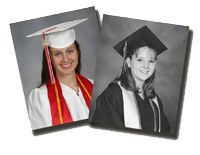 In addition, Graduation Portraits can be shipped directly to the student! That special moment while crossing the stage that each student recieve a diploma can be made even more unforgettable! With our Crossing The Stage service, we photograph each student, as well as any speakers and performances at the event- unobtrusively! We also provide your school with a disc of each photo we take, which can be used for yearbooks, newspapers, websites, or any other use you may have. For both students and educators, graduation is also about remembering who was there with you. 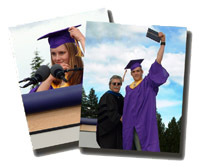 Schedule a Large Group or Panoramic for your graduating class! Don't miss out on the graduation memories! Each graduation only happens once for each student. To find out more about how Magic Photography can help preserve the memory of this special day, contact us, and talk with or schedule a visit from one of our representatives.